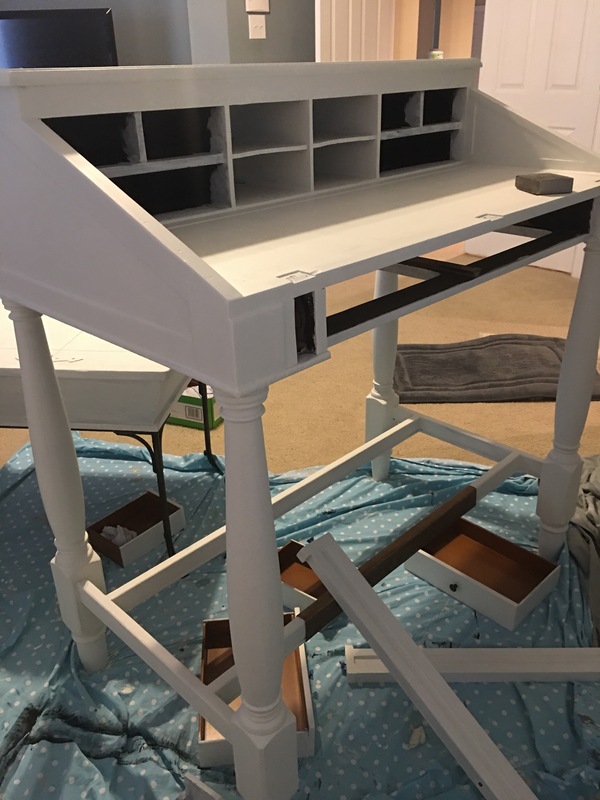 A few months ago a client asked for help refinishing her sewing table. 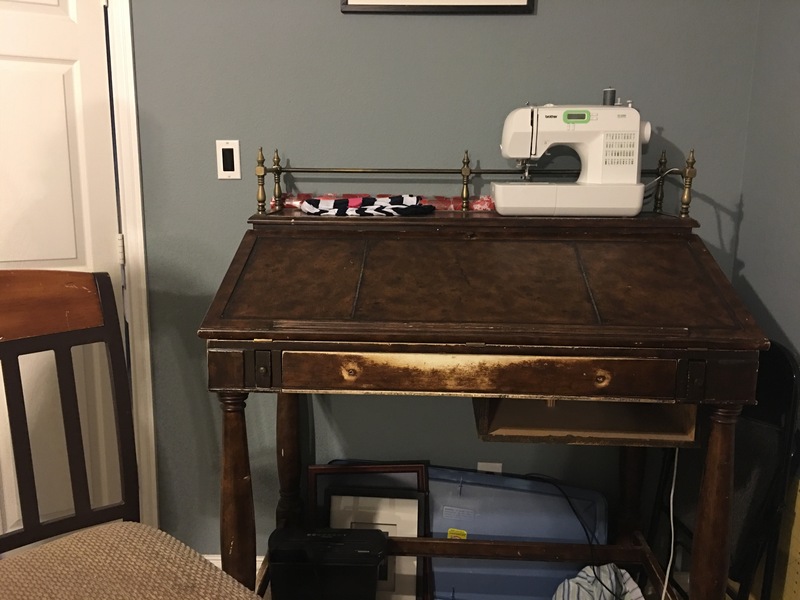 Her “sewing table” was actually a slant-top desk, a descendant of the portable desk built on a frame and developed during the Queen Anne style of furniture design. This particular desk was built in the Philippines, but I wasn’t able to track down more information as to it’s date. It had a leather-like veneer over particle board, which is a common characteristic of furniture built in the Philippines. This desk had a funky metal decorative top. 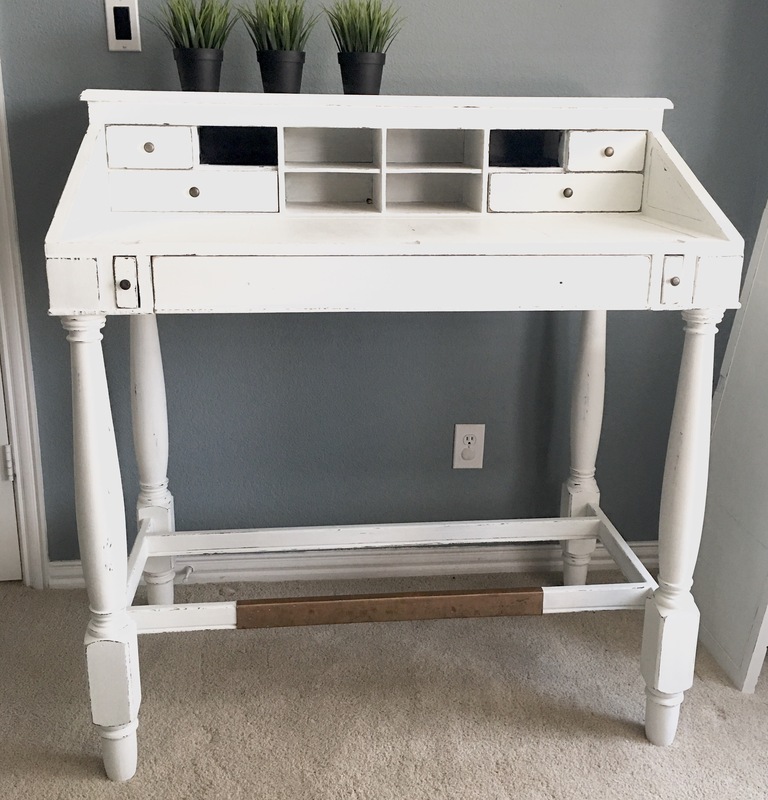 It had been used as a computer table and a makeshift keyboard holder had been added, as well as several holes drilled for various cords. The veneer had been badly worn off and it was missing two drawers. It just needed a good vintage update! 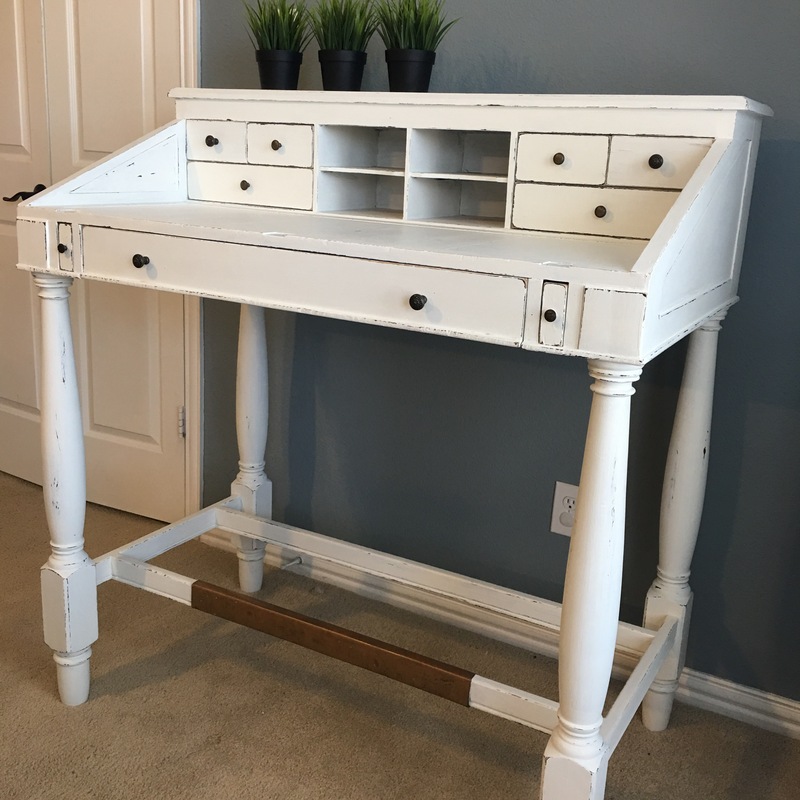 My client had a vision of painting and distressing it white and I was excited to help! 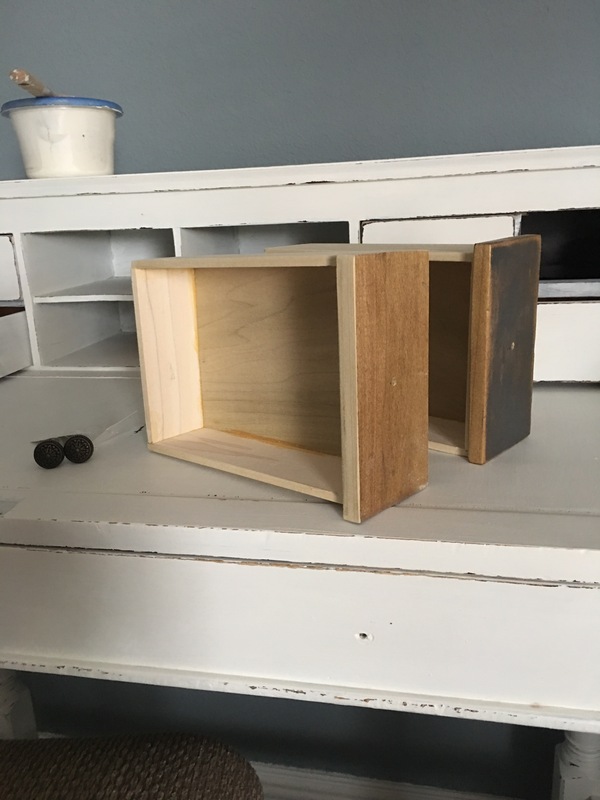 After the paint was dry, we remembered that two of the original drawers were missing! 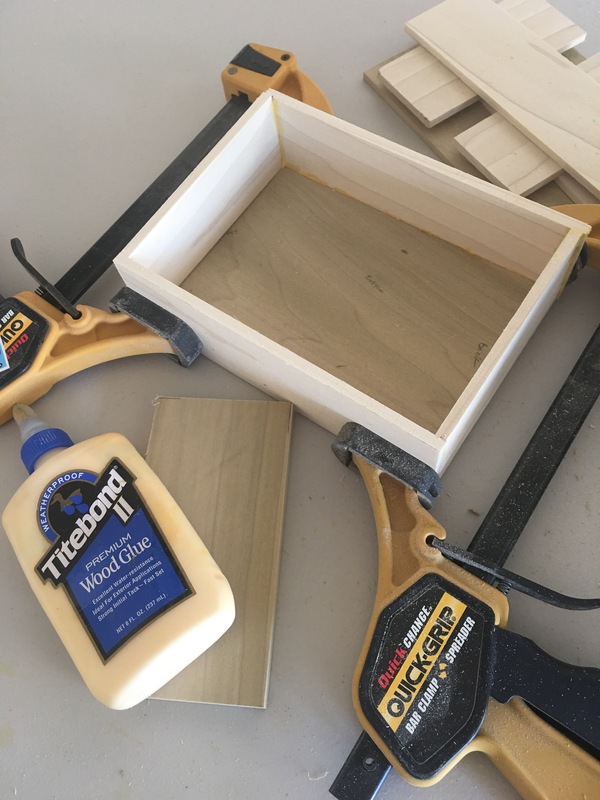 I was able to re-create the drawers out of poplar planks. I was also able to find some coordinating hardware at Hobby Lobby. In the end, she decided to keep the slant-top off because she loved the look of the drawers. Also notice that the metal decorative top didn’t get put back on! What a difference! 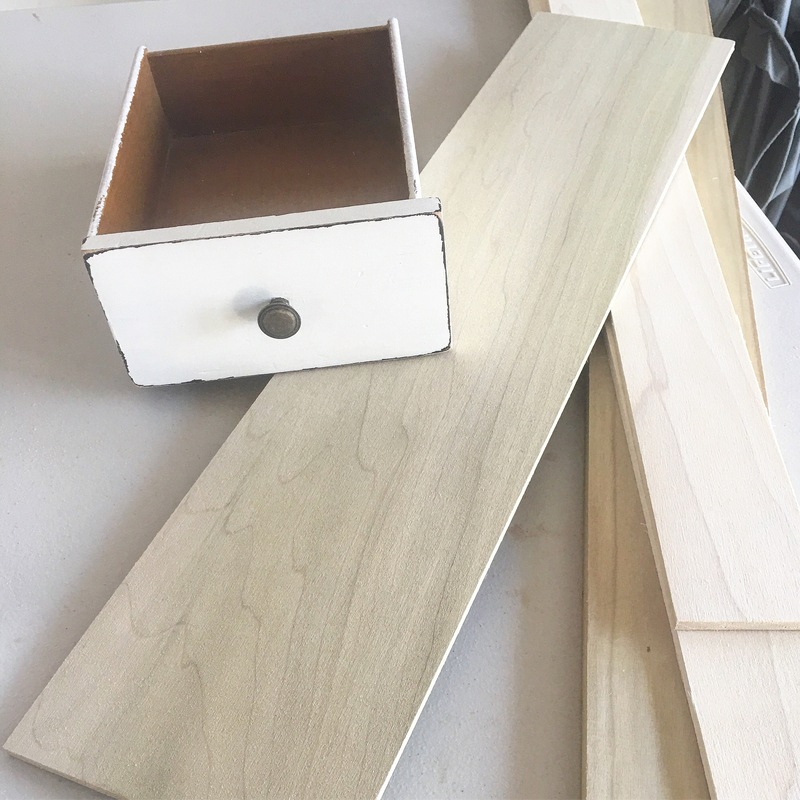 The piece went from a hulking item that was unclear what it was, to a traditional desk on a frame. It’s a gorgeous piece, and I loved getting to assist with it!